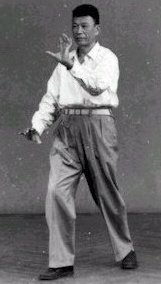 Probably the most widely known form of all the Wu Family (Hao Style) Taijiquan routines, is 'Hao Shaoru's New Frame Form" (Hao Shi Xinjia Taijiquan). 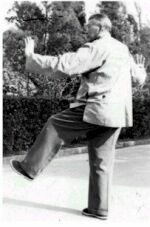 The reason for this, is directly due to the popularity of the his book, entitled "Wu-Style Taijiquan". Hao Shaoru's book proved so popular, that it was published in two editions. The first edition was published in 1963, with illustrations provided by the talented Zhou Yuanlong. During early 1980s, this edition was edited, revised and expanded. Then shortly before, Hao Sharo's death, his students collated all their teacher's works, and published the second edition of the book in 1992. Translator's Note: Please note that I am not a native Chinese speaker. I tried to be as accurate as possible with the translations. However, if you believe there is a more accurate translation, could you please submit it to us. We would greatly appreciate it. 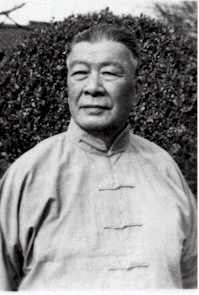 Acknowledgement: We like to thank Master Liu Jishun for allowing us to use his pictures of the late master Hao Shaoru.